Cick above to view our How-to Guide PDF to learn how to download and use the app. Our event app gives you access to schedules, sessions handouts, attendee directory and event updates. The Educare Learning Network invites you to the 2017 Educare Learning Network Meeting. 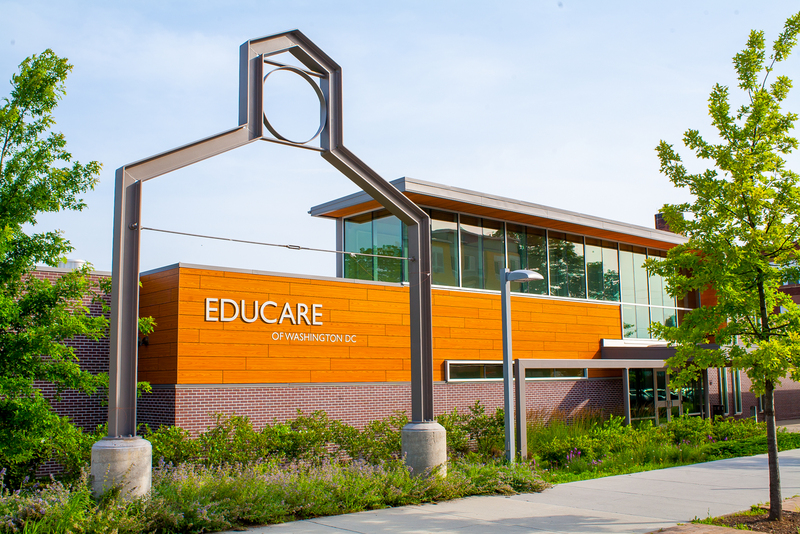 This year’s meeting will be hosted by our partners at Educare Washington, DC. We look forward to you joining us for an exciting time of peer-learning and reflection. Our annual Network Meeting is a collaborative learning event that brings together representatives from schools, public- and private-sector partners and other key stakeholders in the early childhood field. At each meeting there are large group presentations, business updates and concurrent sessions, some presented by representatives from Educare schools. This meeting also hosts the Network’s communities of practice. Download the app for complete session descriptions. This session will cover associations of improvements in student outcomes with school-level, classroom-level, family-level and child-level characteristics. This session will focus on comparisons of expectations versus frequency of job activities, such as with families and interdisciplinary practice, associations of family support staff characteristics, and beliefs with reported practices and family outcomes. This session will go over descriptive summary data and change over time, association with child outcomes, and associations with school, classroom, teacher and student characteristics. The learn shops are 45-minute sessions designed and facilitated by Network members covering topics of importance to Educare. Together, interdisciplinary teams can learn alongside one another in an expanded, in-depth experience, gaining practical ideas that they can bring back to their schools to develop and implement. The Learn shops are intended for all Network Meeting attendees. Catherine Ayoub is an associate professor at Harvard Medical School. She holds a doctorate in counseling/consulting psychology from Harvard University and a master’s degree in psychiatric-mental health nursing from Emory University. She is currently on the medical staff in the Division of Developmental Medicine at Boston Children’s Hospital and in the Department of Psychiatry at Massachusetts General Hospital. At the Brazelton Touchpoints Center, she serves as director of research and evaluation, co-principal investigator for the National Center on Parent, Family and Community Engagement, and founder and director of the Family Connections Mental Health Consultation Project. Her clinical expertise, innovation, and research interest focus on the developmental impact of trauma across the lifespan and on forensic child psychology. Dr. Ayoub’s work with the National Center on Parent, Family and Community Engagement has included leadership in conceptualizing and writing the “PFCE Framework”, the “Relationship-Based Competencies”, and the “Measuring What Matters Series” for the Office of Head Start. Her system innovation and community-level work promotes resilience through design, implementation, and bringing to scale prevention and intervention programs that serve young children and their families. She has written over 130 peer reviewed articles, book chapters and practice papers. Dr. Ayoub is the past director of prevention science at the Harvard Graduate School of Education and the Founder of the Parent Child Center in Tulsa, OK. She has expertise in work with Latino families, and a special interest in collaborating with Native American communities. Download the full App Instructional Guide. The Educare Learning Network recommends the use of the Washington, DC, Metro system to travel to and from the Crystal Gateway Marriot. The Metro costs $1.75 per ride one way. The total transit time is about 10 minutes from the Ronald Reagan Washington National Airport (DCA) to Crystal City, on the Yellow or Blue Line trains. The Crystal Gateway Marriot offers a complimentary shuttle service to Reagan National. The hotel is located 2 miles northwest of the airport. The shuttle is scheduled and usually runs every 20 minutes. To find out more about the Crystal Gateway Marriot’s shuttle service call 703.920.3230. Taxi fare to or from Reagan National costs about $17, plus $1 for each additional passenger. The approximate taxi fare is $3.25 for the first 1/8 mile with an additional charge of $0.27 per additional 1/8 mile and $30 per hour waiting time. The Educare Learning Network will reserve rooms on behalf of all Educare staff. All other reservations will need to be made online with this link or by calling the hotel to request a room in the Educare Learning Network room block. Hotel registration information is coming soon. Cancellations must be made 72 hours prior to date of arrival by contacting us at registration@educarenetwork.org. Be advised that cancellation of individual reservations made up to 72 hours prior to arrival will be accepted and the deposit refunded for those rooms for the full night’s stay. Failure to cancel reservation will result in a no-show fee billed to the Educare Learning Network. Cick above to view our How-to Guide PDF to learn how to download and use the app. Our event app gives you access to schedules, sessions handouts, attendee directory and event updates.